If you’re planning a trip to Ukraine and don’t include Crimea, you’ve just skipped the most scenically diverse and fascinating region of the country, a land where spectacular natural beauty abounds when the mountains meet the sea. The Autonomous Republic of Crimea is unique among Ukraine’s oblasts (regions of the country.) Crimea is a parliamentary republic governed by the Constitution of Crimea in accordance with the laws of Ukraine, making it a sort of hybrid region that’s part of Ukraine but separate, too. Confusing? I agree, and while I can’t tell you exactly how this works politically, for the traveler in Ukraine it makes not a dimes worth of difference. There is no border stop, no passport check. It is, in fact, exactly like traveling from one state to another in the U.S. – no way to tell you’ve crossed any border at all unless you see a sign telling you so. Crimea is more closely allied with Russia than any other region of Ukraine even though it is situated farther from the Russian border than any other part of the country. The vast majority of Crimeans speak Russian as their first and only language, and the Russian Naval Fleet still operates out of the port city of Sevastopol due to a very contentious treaty between the Russian and Ukrainian governments. In fact, in 2010 when the Ukrainian parliament ratified an extension of this agreement until 2042, it briefly sparked chaos and fisticuffs in the chambers of parliament itself. The Crimean Peninsula juts far out into the Black Sea, connected to the mainland of Ukraine only by the narrow – three to four miles wide – Isthmus of Perekop in the north. This northern seventy-five percent of the peninsula is a table-flat, semi-arid plateau that is mostly agricultural. As you travel south you begin to see rolling hills which then steepen into a series of smaller mountain ranges interlaced with caves, capped by the Crimean Mountains which rim the south coast and plunge dramatically straight into the sea. 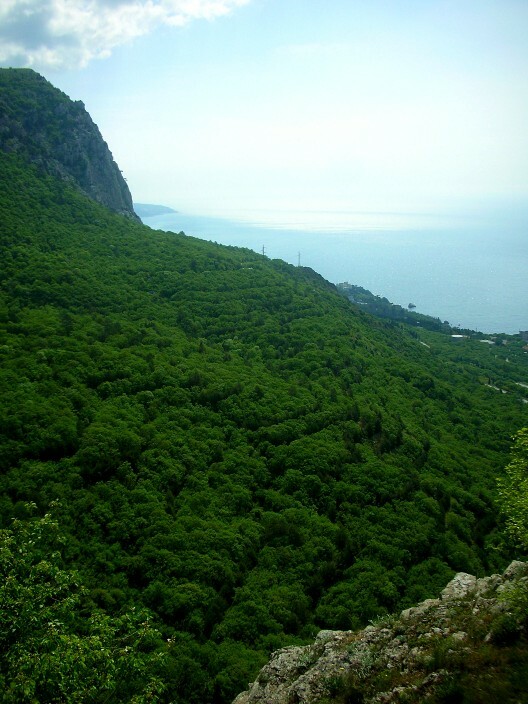 This narrow strip of southern coast has an altogether different climate and terrain from the rest of Crimea, covered with greenery and dense forests and more than double the rainfall, around forty inches per year, of the interior. 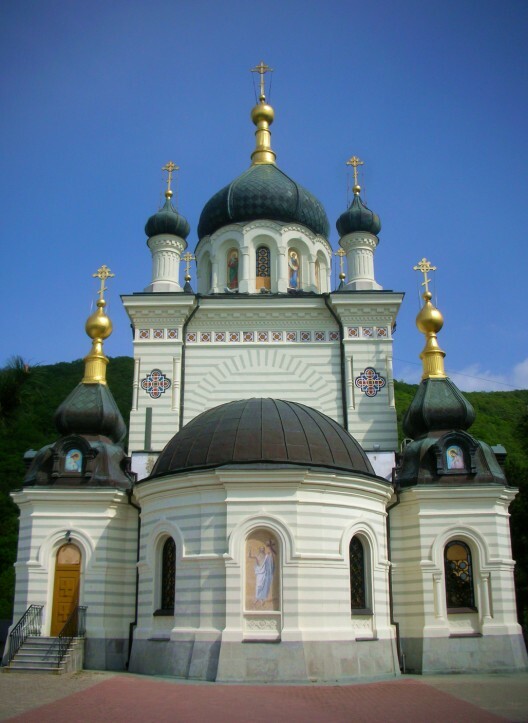 Over the centuries Crimea has been invaded and occupied by Greeks, Scythians, Goths, Huns, Bulgars, Khazars, Turks, Tatars, and Mongols, to name but a few, so it isn’t difficult to see why Crimea boasts a wider diversity of ethnic groups than any other part of Ukraine. It’s also not hard to understand why so many invaders have ravaged the region once you’ve traveled the peninsula and seen its beauty and bounty. Crimea hangs from the mainland like a juicy plum ripe for the picking, easily accessible to any hostile power with a fleet and the will to plunder. 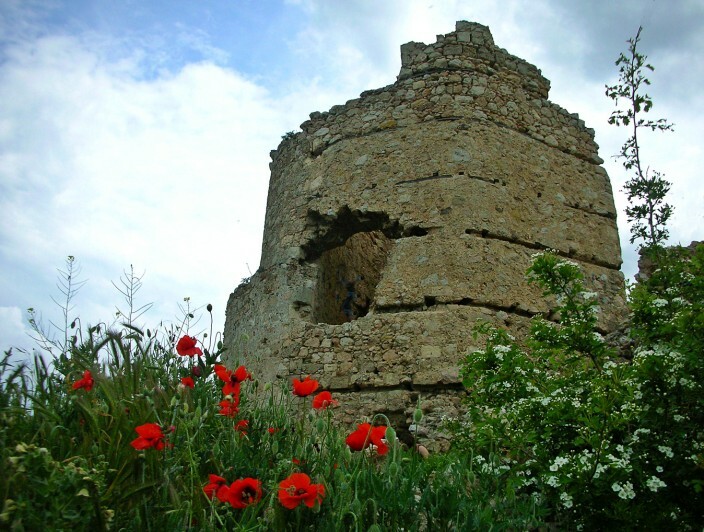 Crimea’s most recent invasion by a foreign power came during World War II, being occupied by Germany for two years, although the Nazis never completely overcame Soviet resistance in the Crimean Mountains in the south despite a lengthy and bloody campaign. As always in Ukraine, the vast majority of travelers reach Crimea by train. 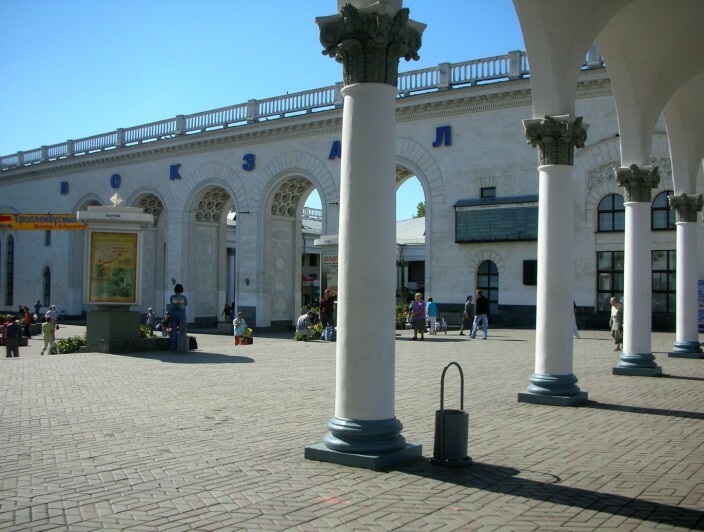 Simferopol, located in the peninsula’s interior, is the region’s capital and largest city and is the end point of the rail line. There is an international airport in town, but I’ve never used it so can’t really give you any tips on that. Aside from this, there really isn’t much of interest in Simferopol itself to the average traveler, and most folks are only passing through the capital as a transfer point to Yalta or other vacation destinations along the coast another hour or two further south. From the train station in Simferopol you can take a private taxi (quickest but expensive), taxi bus (not as quick but less expensive), or electric trolley bus (slow and cheap). I’ve been there twice and the first time took the taxi bus to Yalta. It broke down halfway there and we had to wait about thirty minutes for a replacement, thus negating the only advantage it had over the electric trolley bus. My advice? Go with the trolley. On our most recent trip they had brand new buses, very comfortable and clean and with a tv at each end of the bus showing travel videos of Crimea. 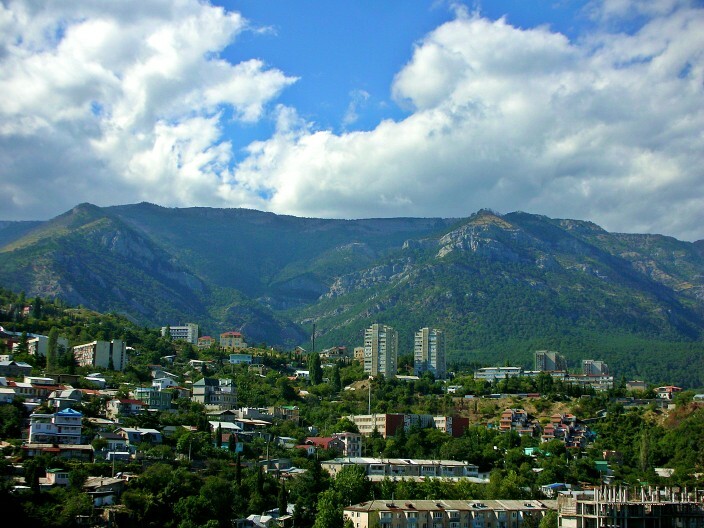 The trip to Yalta takes about two and a half hours but it passes quickly with plenty of bucolic countryside and mountainous scenery rolling by to keep you occupied. This will also allow you to boast you’ve ridden the world’s longest electric trolley bus route, at ninety-six kilometers in length, or fifty-nine miles.